To mark the beginning of the Community Archaeology Dig, Dr Tim Young presents the results of the geophysical survey, which revealed the archaeological evidence guiding the upcoming excavation. 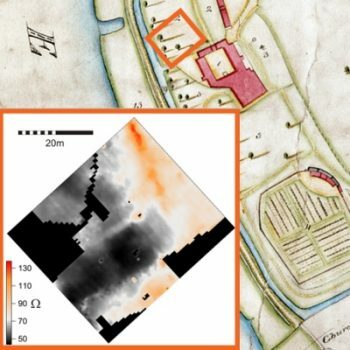 In November 2013 a geophysical survey was undertaken in the paddock area to the west of Fulham Palace. Dr Tim Young presents the results of these investigations which were designed to reveal the Palace’s former dovecote. Evidence for further archaeological features was also discovered and these may relate to the early medieval manor. This talk marks the beginning of the Community Archaeology Dig, taking place over three weeks in October, as we will soon discover what these features really are. Detail: £3.50. Booking recommended, click here to book This event takes place in the Jessie Mylne Education Centre.